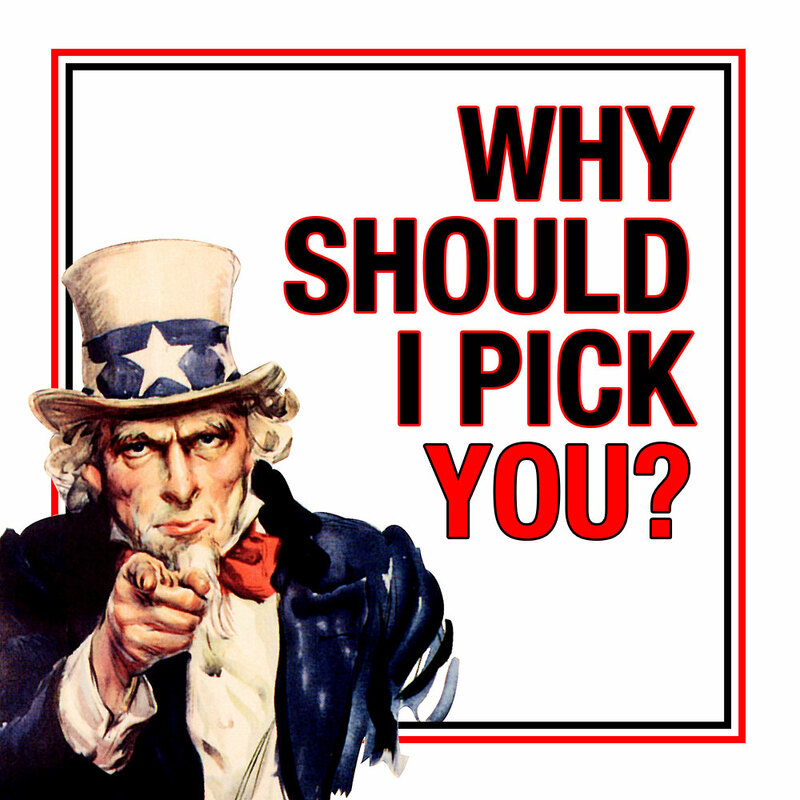 Why Should I Pick You As A Designer Over The Competition? Most of us think that the only parameter that determines whether or not we win a project, is how much money we ask for it. 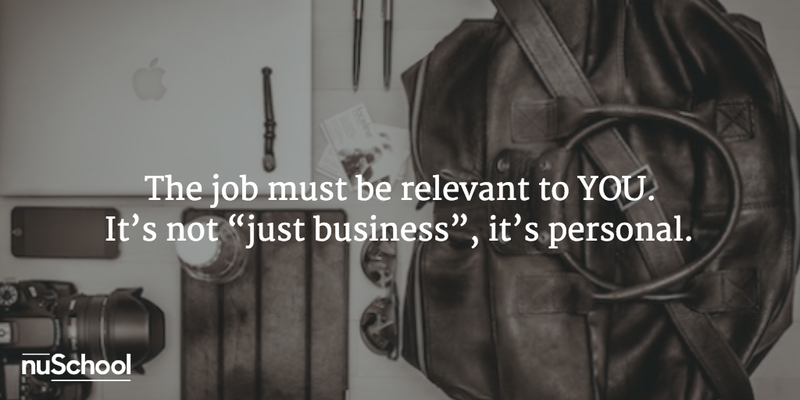 Equally important, is how relevant to the job you – yes, YOU, are. I think we got it all wrong – it’s not “just business”, it’s personal. As a child I had a distorted vision of what people were looking for in a relationship. Hollywood taught me that if I don’t have a rich dad then I have no chance of winning girls. Since I don’t really have a rich dad, I thought I was destined to die alone. As I grew older, I found this was complete and utter nonsense. Everyone is looking for something different in a partner – somebody wants their partner to be funny, others seek a supportive spouse, or a tough one, or someone sensitive. Guess what? Our customers are human beings. They don’t just care about the money. They want to know that you have relevant experience to the project, that you fit their vision, that you share a common language and that their project excites you. Hell, they want to know you’re fun to work with! So I always make sure I talk about myself in the price proposals I send out. I call it, the “Me” factor. An essential ingredient that helps my clients understand why they should pick ME. When I don’t distinguish myself from others, my customers are going to compare my proposal with those of my competitors, or with the lowest prices on Fiverr or 99designs. I’m one of a hundred different possible options. I feel cheap. 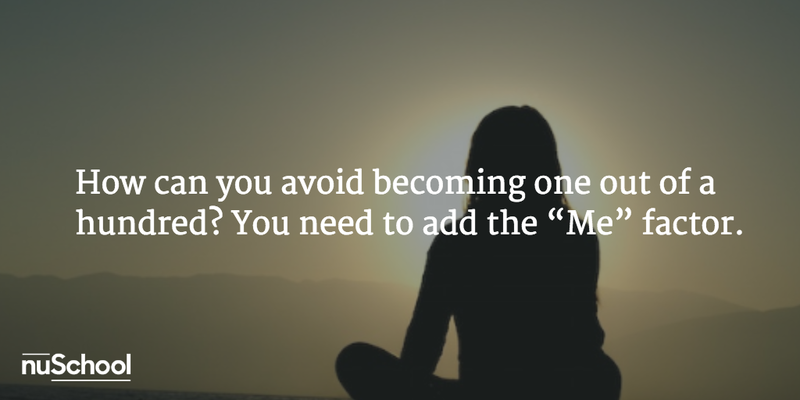 How can you avoid becoming one out of a hundred? You need to add the “Me” factor. We want our client coming out of our little “date“, saying to himself, ‘It’s just what I was looking for”. We all know the class genius who had brilliant ideas. Or the one kid who was exceptionally talented. “But I’m not like that! I’m not special!” we whine to ourselves. Nonsense. You don’t have to be a genius like Mark Zuckerberg to be unique. Take the example of Zappos – a start-up that founded an online store selling shoes. Sounds boring. There were no ingenious algorithms, or UX innovation. You know what was unique about them? They had the best customer service in the world. They invested everything into operators who made it fun to call and buy / return shoes you bought on their site. Anyone who purchased there once, returned for a second and a third time. An outstanding customer service – how unique is that? Is that enough? Apparently it was enough for Amazon who bought Zappos for 1.2 billion USD. How to find your uniqueness? Do you complete projects on time, while other freelancers around you are always late? Always up to date on the newest design trends and know how to integrate them into your projects? Do you have an extensive network of contacts that will assist the customer with more things they might need? Do you have an extra skill like coding? 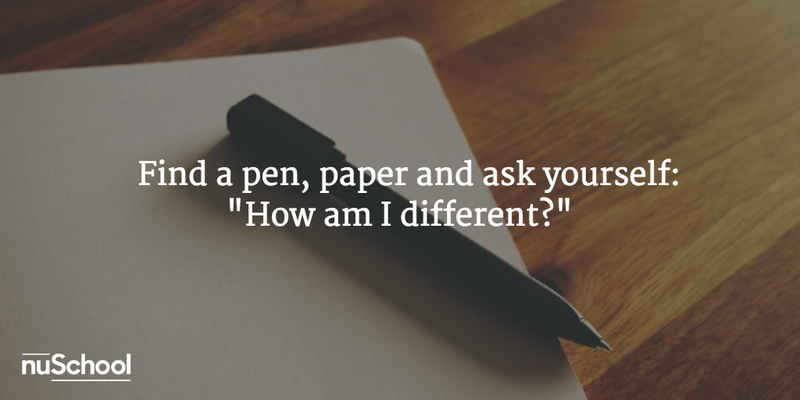 What’s unique about you can be almost anything, so don’t be shy, spill it all out on paper before you start rejecting ideas. Remember Zappos. If you need more ideas, you can contact your previous customers and ask them what they liked while working with you. When I did it, I learned from my customers that “meeting deadlines” was something relatively unique to me. And that was enough for them to recommend me to their friends. What is your relevant experience to the project? Technical experience – are you requested to design a responsive website? Maybe you built three of those in the last year. Experience with a specific niche – do you need to design a restaurant website? Perhaps you built restaurant sites before. Experience with similar customers – is it a project for a high-tech company? Perhaps you designed more stuff for technology companies. Experience with project complexity – let’s say you have to do everything from A to Z – create branding, design language and then design their clothing store chain. Have you done any similar projects of this magnitude? Highlighting your relevant experience to customers will help convince them that you particularly are suitable for his project. What is your personal interest in the project? Recently, I was creating a mobile app for a gym. I haven’t trained for years, but in my youth I used to work out in quite a few of these sweaty places. When I met with the customer he noticed that I could get the mindset of his clients. He felt he could trust me. When requirement gaps would pop up – I would complete them myself. He knew I wouldn’t stop working on the project until the site looked like something I’d want to use myself. When your client knows you have a personal interest in his the project, or its content, you’ll get a lot of points in their book. 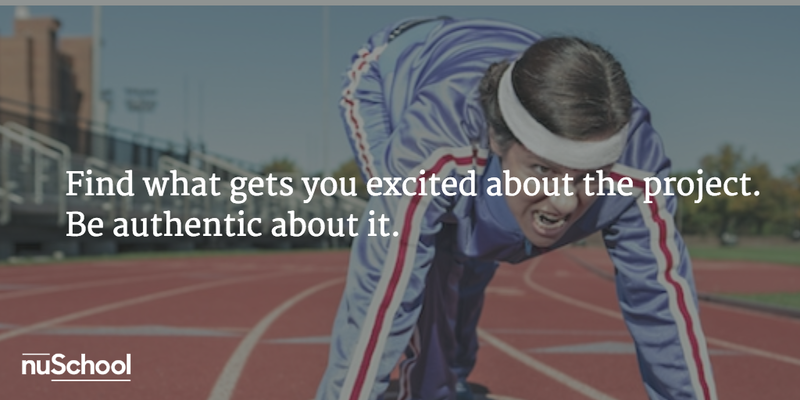 Find what gets you excited about the project, and be authentic about it. How do we communicate all of this to our customer? The perfect place to do it is in the price proposal. I admit that at first it was awkward to write this “Me” factor: “As my previous clients will attest, I’m always meeting my deadlines”. F*ck, I felt like such a douchebag. But I got over it. As a freelancer and not just a creative worker, I am my own marketing team. And unless my client got a wonderful recommendation about me, I need to let them know I’m the one for the job. We’re a match made in heaven. Thus, when the customer reaches the point where he sees the numbers, he no longer cares whether or not I have a rich dad. He wants to date me for who I am. When you feel like you’re arrogant. When you feel like you are pushing you’re selling capacities. When you feel like you can’t say something, but you have to? Do. Stuff like that. EXTREMELY salesy. EXTREMELY over the top. But with enough humor and quality, people find comfort in your confidence. My last client, I won over my saying one single sentence. Then I gave him the document I told you about. If you can stand on the words which come out of your mouth and stay true to the client, they respect that. It wins cold cash. But don’t stand on arrogance outside that single sales pitch. Stand on your work and stand on your words. Be a nice person. Except when they ask you not to be.